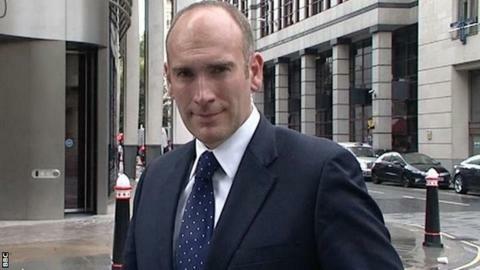 Dan Roan has been appointed as the BBC's sports editor. Roan, 37, has been the BBC's chief sports correspondent since April 2013, having joined the corporation as a sports correspondent in 2010. He previously worked for Sky Sports News but began his career in journalism as a BBC news trainee in 1998. "This is a tremendous privilege and a wonderful opportunity," said Roan, who begins his new role with immediate effect after succeeding David Bond. "I look forward to continuing to cover one of the most fascinating and relevant areas of news across all our television, radio and digital platforms - and to working with some extremely talented colleagues across the BBC." Roan led the BBC's sports news coverage at the World Cup and Commonwealth Games this summer. He has also reported from the 2010 World Cup in South Africa, the 2011 Rugby World Cup in New Zealand, the 2012 European Championship in Poland and Ukraine, and the London Olympics. He has presented BBC Radio 5 live's Sportsweek programme and fronted a documentary on Brazil's preparations ahead of the 2014 World Cup and 2016 Olympics. Director of BBC Sport Barbara Slater said: "Dan has been an outstanding chief sports correspondent, with a proven track record of delivering big interviews and breaking stories across all platforms. "I know he will bring tremendous drive, ambition and energy to the job. "Dan already has a significant following on social media and one of his priorities as editor will be to make even more impact with our sports journalism on the BBC Sport website." Read more on Oscar Pistorius: Who was the man behind the brand?